Who Is Dr. Cynthia Leeder? I am a licensed Chiropractor, and a board certified clinical nutritionist. I have been in practice for over 28 years. 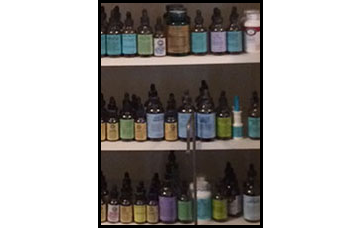 I have trained in all aspects of naturopathic medicine including herbal medicine, homeopathy, acupressure, lifestyle and emotional counseling and clinical nutrition. I have a doctorate in Chiropractic, a Master of Science degree in Bio-Nutrition, a PhD in Metaphysical Counseling. I am a Board Certified Clinical Nutritionist, a Certified GAPS Practitioner, and an Earth Diet Health Coach. I have also studied Applied Kinesiology, Sacro-Occipital Technique, Cranio-Sacral Technique, Total Body Modification (TBM), acupuncture, massage, herbology and homeopathy. I look at the whole person when treating an individual. This means that I consider the physical, mental, emotional and spiritual components as part of the health condition. No two people are alike and no two conditions have all the same symptoms, problems or sources of problems. If a person comes to me for chiropractic, I expect to see some type of response, provided the patient is being compliant with all my suggestions, to my treatment within 2-4 visits (this isn’t saying I expect them to be healed), then I will begin to consider either emotional or nutritional components contributing to the issue, thus I then begin to integrate other aspects of the patient’s condition. As an example, I find commonly that if there is no accident or trauma and a back just begins to hurt, there could be a very strong possibility that something in the diet is contributing to the pain, so we talk to see if it could be so, or what is going on emotionally that the person is feeling no support in his life. My chiropractic technique is very gentle and yet very effective. I have many different ways of adjusting a body and I ask each patient to tell me what their fears of chiropractic are so we can support them in their healing without contributing more to their fear. My goal is to get a person well as fast as he/she will let me. Chiropractic is just a tool in a healing process and not only is the doctor involved, so is the patient. 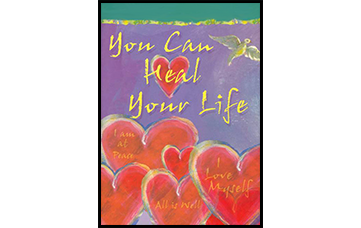 A doctor is a teacher, teaching his/her patients how to heal themselves and stay healthy. I don’t use prescription drugs and my goal is to teach others how to avoid using them whenever possible. The term “nutritional supplement” refers to vitamins, minerals, and other nutrients used to support good health and treat illness. Plant compounds found in fruits and vegetables have powerful disease-fighting properties. While it’s best to get nutrients through the foods you eat, sometimes taking a supplement can help. What people don’t realize is that every time they rehash an experience they had as a child they keep old emotions alive and flowing in their body. The pain they are experiencing chronically may be a result of the physical manifestation of the long ago emotional reactions. Clearing the emotions and the physical can heal. Chiropractic enables you to remain active, permits your joints, muscles, and nerves to function appropriately, free of pain that could prevent you from remaining active, feeling fully alive and more youthful, even as your age increases. When done in a gentle manner even people with osteoporosis can be safely treated. Call our office and come in and meet me and see if we can work together.